Tangelos contain a flavonoid called flavanones. In a recent study, researchers found that women who ate citrus such as tangelos were 19% less likely to suffer an ischemic stroke. Flavanones seem to have an anti-inflammatory effect that will protect the blood vessels. Studies suggest that a high flavonoid intake may also reduce the risk of asthma, cancer, cardiovascular disease and neurological disorders caused by aging. A medium sized tangelo has 2 grams of dietary fiber which is nearly 8% of the recommended daily allowance of fiber. 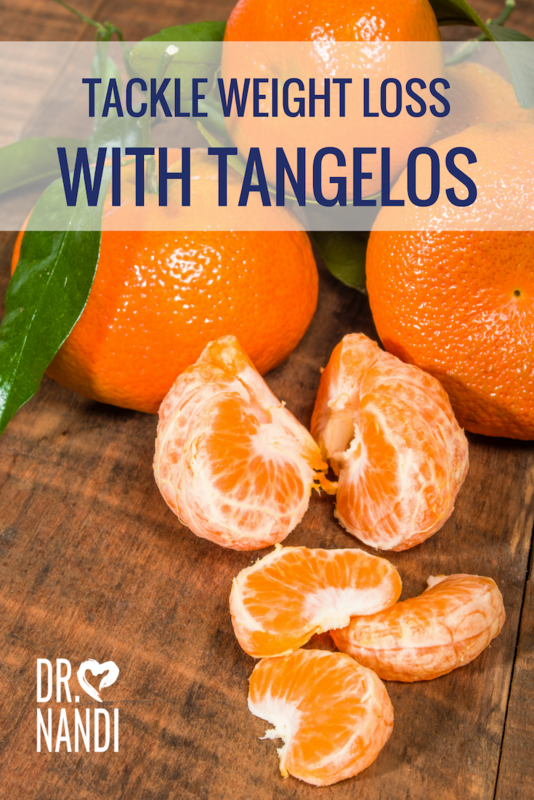 Researchers have found that tangelos contain primarily soluble fiber, or fiber that swells with water as it passes through the digestive tract. High soluble fiber intake can lower blood cholesterol levels and help regulate blood sugar levels in diabetics. Nutritionists suggest that eating high-fiber foods like tangelos may help prevent hypertension, obesity, stroke, cardiovascular disease and digestive system disorders like hemorrhoids, ulcers and gastroesophageal reflux. The peel of a tangelo contains coumarins which is a phytochemical that may be protective agents against cancer and other tumors. Studies are being done on the benefits of coumarins but early evidence suggests it to being a promising cancer preventive agent. The other substance found in tangelos that have anti-cancer properties are terpenes, some of which can also be found in the peel. These compounds can reduce tumor size in humans and are also used as a treatment for gallstones. 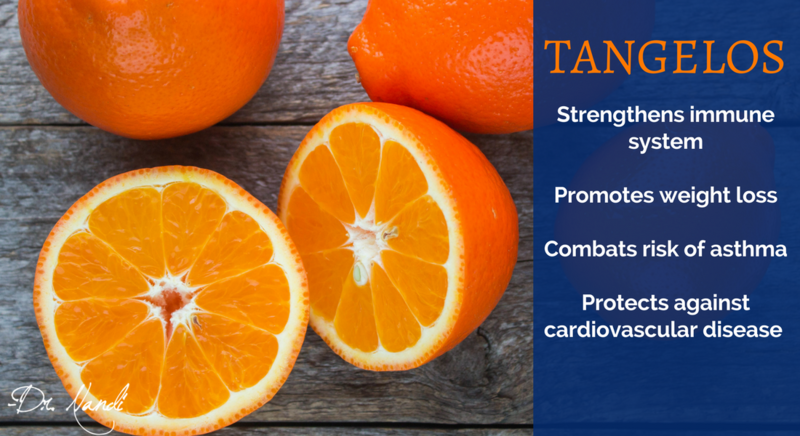 Tangelos contain vitamin C which helps the body develop resistance against infections and scavenges harmful, pro-inflammatory free radicals. Vitamin C has been found to help prevent respiratory problems such as asthma and lung cancer. Vitamin C can lower blood pressure which mean a lessening of the probability of hypertension. The average tangelo has just 70 calories, has two grams of fiber and high water content. This makes people feel more satisfied after they eat tangelos. The fruit is a great way to satisfy your sweet tooth and lose weight at the same time.